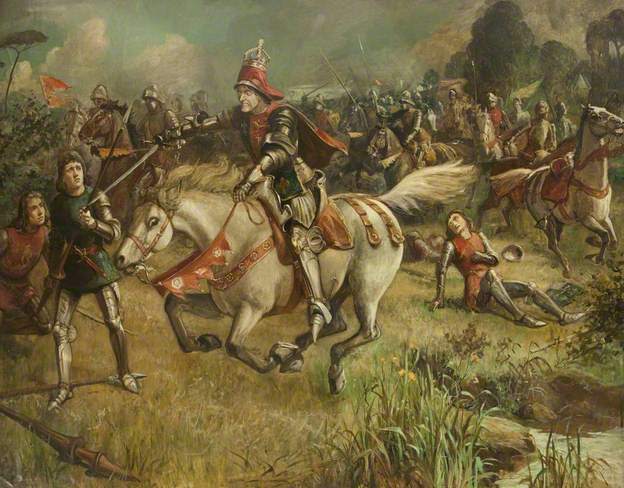 Bosworth Field, 1485. A savage hoard of Lancastrian supporters left the field drenched in the dead king’s blood. The new king, Henry VII, then had the arduous task of justifying his right to the crown, and propaganda was key to this. Born only three years prior to the outbreak of the Wars of the Roses, Richard was a popular Yorkist figure, and much loved by his brother King Edward IV, who made Richard Lord Protector of the country and of his son Edward V, upon his death. It was this position of honour, the Tudors’ say, Richard abused by murdering the young Edward V in his own quest for power. So, was Richard a true, honourable king, murdered on the instruction of a usurper? Or a cruel, tyrannical man, typified by his hunched-back? Centuries of propaganda would have us believe the latter; however evidence suggests otherwise. 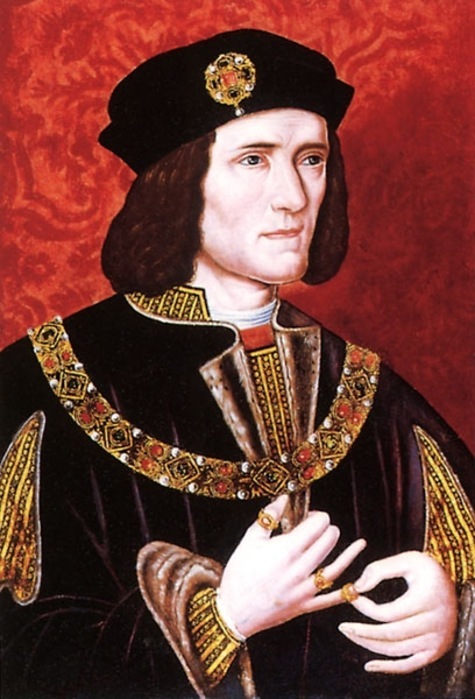 One of the initial pieces of Tudor propaganda was Thomas More’s The History of King Richard III, which adheres to the portrayal of Richard as ‘malicious, wrathful, envious, and …ever perverse.’ More did this by describing Richard as more of a monster than a divine king, and referring to him as ‘crooked-backed,’ thereby de-humanising him. This book set the precedence for further such portrayals of Richard, many of which are still seen today. The stereotypical image of Richard III can be seen in Shakespeare’s play, The Tragedy of Richard III, largely based on More’s book, in which Shakespeare conforms to the popular image of a deformed king. This would suggest that society was in favour of tarnishing the image and name of the King in order to justify, legitimise and impress the newly established Tudor dynasty. In the play, Shakespeare depicts Richard as being “deformed and unfinished” which suggests the un-kingly features not desired by society. As aforementioned in the works of Thomas More, the propaganda of a murderous king is further supported by the writings of Shakespeare, as reference is made to the disappearance of the ‘rightful heirs,’ the famous princes in the tower. In the play Shakespeare refers to “plots, I have laid” putting forward the notion that Richard had significant involvement in the heinous crimes he was accused of; murder and regicide. Due to the esteem of Shakespeare, The Tragedy of Richard III is often still presented, and thus continues to affect people’s opinion on Richard as a crippled tyrant. Alongside textual propaganda, there were also visual representations which shifted focus on attacking the personality of Richard III, as being no more than a malicious and weak king, to his appearance, as an attempt to further validate his negative stereotype. This stereotype can be seen in the above painting of Richard, produced between the late fifteenth and sixteenth centuries, which alludes to the idea of Richard as deformed, insinuating his weakness and inability to reign. This is highlighted by several features of his body; the shoulders, hands and face. The painter has given Richard sloped shoulders, supporting More’s claim of Richard being ‘ill-featured of limbs.’ Additionally, the hands of the King are central to the painting, unusual for royal portraits of this time, also the artist has given Richard a withered and haggard face, his aged appearance implying fragility, showing the painting is an effect of Tudor propaganda. In contrast to this portrayal, other sources suggest the opposite to these negative representations of Richard; however they have not had as much of an impact on popular opinion. For example, in the book published by Horace Walpole, Historic Doubts on the Life and Reign of King Richard III, he disproves many common perceptions of Richard as a tyrant. Showing Tudor propaganda did not have an effect on all, as this was the first major piece of work disproving Tudor claims. He suggests that the King’s crimes were justified, necessary or he was not involved at all. Walpole casts doubt over the Tudor portrayal of Richard, suggesting that many concerns over the King’s ability were simply hysteria. This piece of work proves that the image of Richard III and propaganda surrounding the King was relevant centuries later, as Walpole was writing about the King posthumously, and disproves many negative perceptions of the King, largely discrediting Tudor propaganda. In conclusion, Tudor propaganda has had a great impact on the views of Richard III as many of the sources we studied offer a negative perception of the King as being deformed. The fact that many of these sources discrediting the King were produced in later centuries shows that the impact of Tudor propaganda was long lasting. Throughout general opinion Richard is still largely regarded by many as a hunchbacked tyrant, which ultimately shows the extensive impact of Tudor propaganda, specifically seen in the work of Shakespeare. Despite a minority of sources discrediting Tudor propaganda’s portrayal of Richard, its foundations still lie within our modern day society. Image 2: A posthumous representation of Richard III produced during the Tudor dynasty. Welcome keen historians, we, Team Time, have chosen to look at the effect Tudor propaganda had on the portrayal of Richard III, from the dawn of the Tudor dynasty to the discovery of Richard’s remains. We have chosen to look at a collection of sources to determine whether or not it was a common perception that Richard was the ‘crooked-backed tyrant’ portrayed by Tudor propaganda, these are; an official painting of Richard III from the Tudor era, nineteenth and fifteenth century newspaper articles, Shakespeare’s The Tragedy of Richard III and Thomas More’s The History of King Richard III.